Ginger has always made the boring become interesting. Its is still doing that today in Yandina which is the ginger capital of the world on the Sunshine Coast. To look at the Ginger Factory you would think its just a tourist attraction. Well that's because it is. Traditional factories are plain boring, but the Ginger Factory has used its 9 hectare site to 'spice' things up and attract tourists. It has so much to offer with beautiful lush tropical gardens, a tour of the factory at work and a train ride. The engine named Moreton was actually an old steam loco which hauled cane to the Moreton Sugar Mill in Nambour. The mill has since closed down and Moreton retired years ago, but it has seen a new life by taking tourists on an informative ride around the ginger gardens. The ride tells you all about ginger, the factory and local history. Yandina was not the original site for the factory. Actually the company who owns the Ginger Factory is called Buderim Ginger. The firm started after World War Two when the supply of ginger from China ran short. 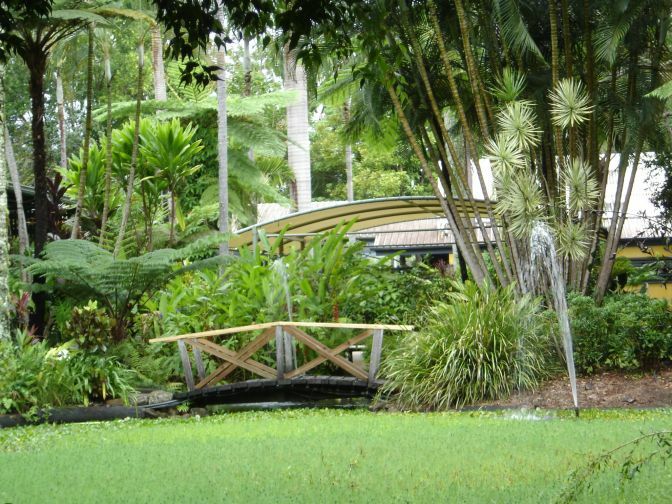 It had a 2 hectare site in a town 20 minutes away called Buderim. It became too expensive to run the Buderim factory, so in 1979 a new plant was built in Yandina .This allowed for massive growth and increased production which has helped its success today. Its position as a valuable exporter was highlighted when The Prince and Princess of Wales made a visit in April 1983. In 1985 the tourist attraction element was added with shops selling ginger products and souvenirs. Each year in January the ginger capital hosts the ginger festival to celebrate the wonderful gifts ginger brings us. Its is not just the spicy flavours but also the beautiful ginger plants and their colourful flowers, which look as though they are made of plastic or wax. These plants are becoming more popular because they add a tropical look to gardens. 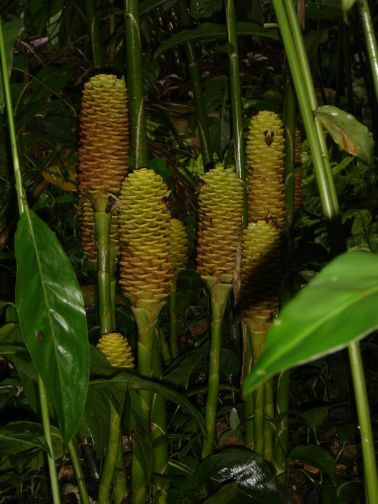 There are over 1400 species of ginger from small pot plants to huge 2 metre tall varieties. There is an extensive tropical garden which has its own magic when visited on a cloudy, wet day. There are also bromiliads and heliconias which surround a beautiful pond filled with water lilies. Recent years have seen over 500,000 visitors a year come to the Ginger Factory. It has found a way to turn a boring factory into a fun tourist attraction. Kids can now enjoy the Overboard Boat Ride which follows a gingerbread man around the world looking at different cultures. Gardeners can also buy ginger plants and enjoy their beautiful blooms while tourists can simply enjoy the tropical atmosphere. There is a lot to learn about ginger. Research has shown its use as an aphrodisiac and has health benefits as well. Slices of ginger when added to hot water make a great tea to relieve congestion with colds and also settle upset stomachs. 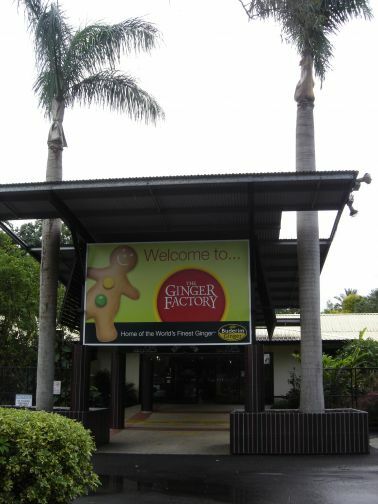 Ginger may not be everyones' favourite flavour, but its always a good day out at Yandina's Ginger Factory.